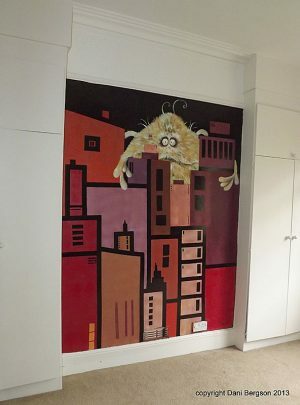 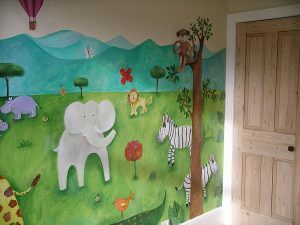 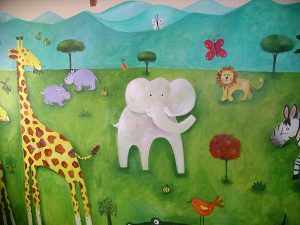 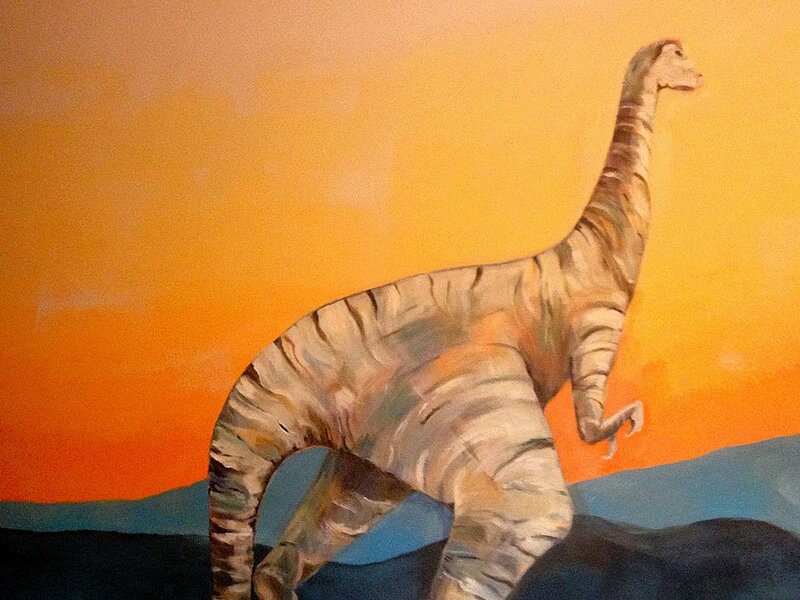 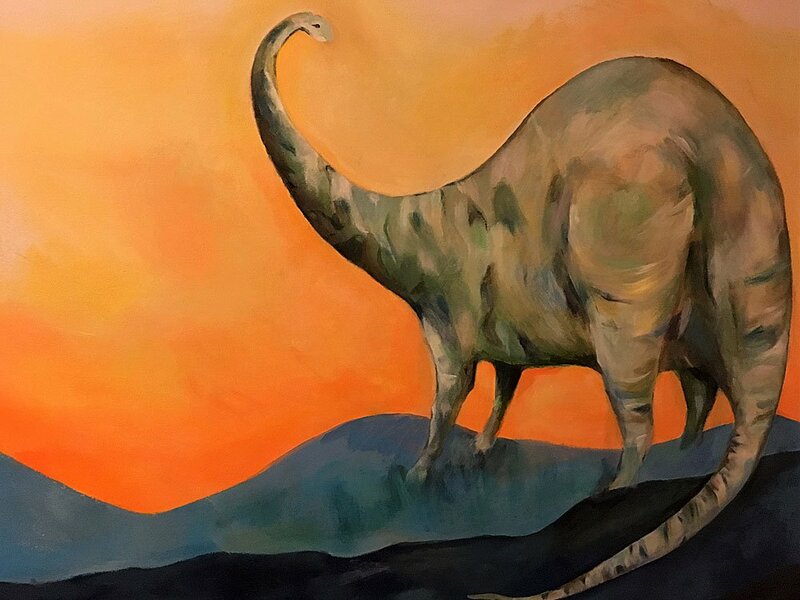 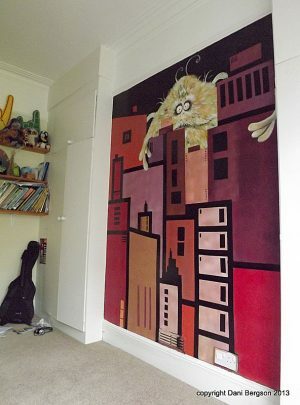 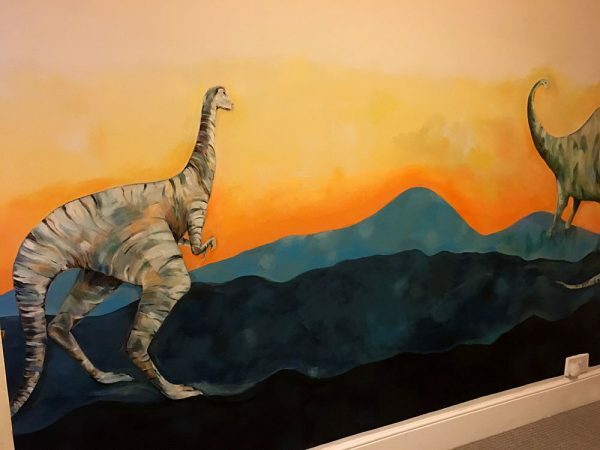 A Dinosaur Art Wall Mural, private commission for a children’s bedroom wall. 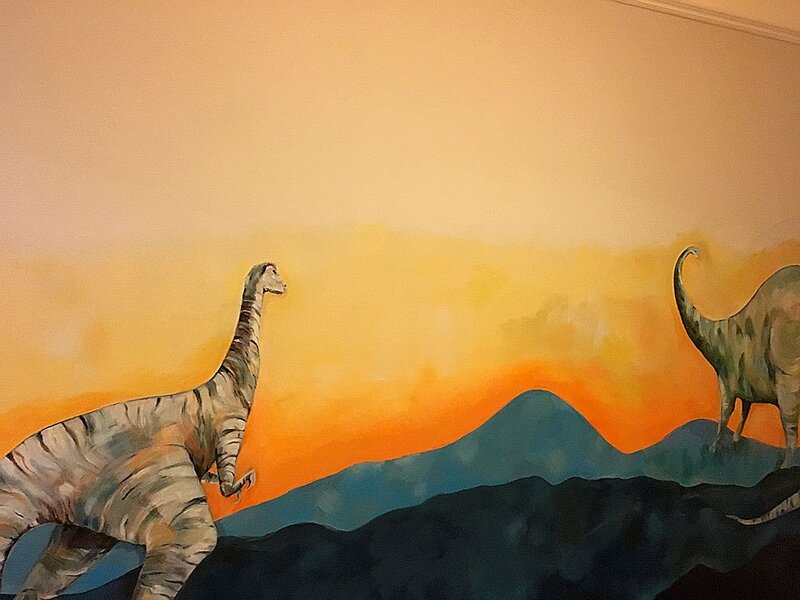 The client wanted a Dinosaur theme depicting two large Dinosaurs on a baron landscape. 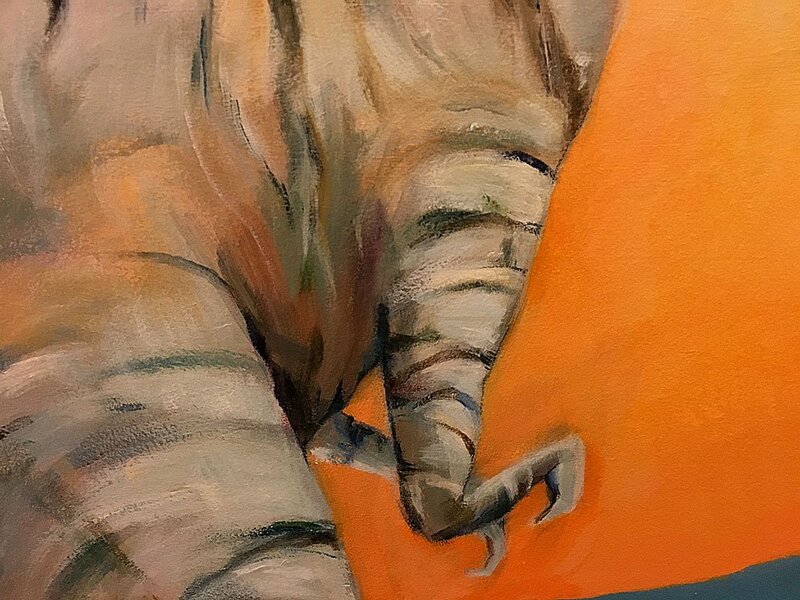 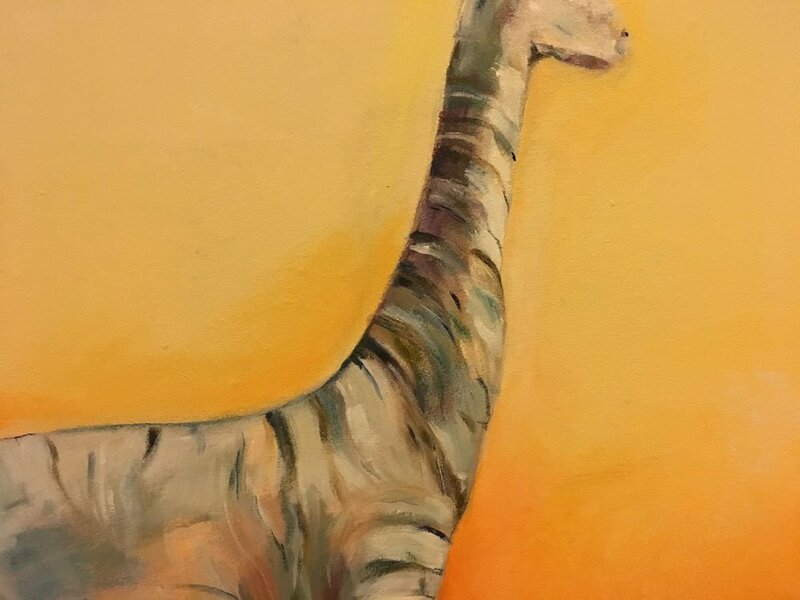 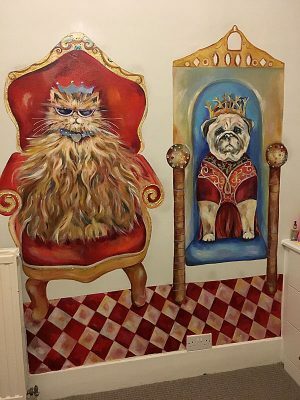 The Dinosaur Art was painted directly on to the wall and finished with clear matt interior varnish.